LAST CHANCE! Don’t miss Neoteric Rescue Hovercraft at #FDIC Booth 2704 today! #FDIC2017 ends today. This is your last chance to visit Booth 2704 and see why the Neoteric Rescue Hovercraft performs the safest and fastest rescue operations – especially in areas other vehicles can’t access, such as thin/broken ice, mud flats, intertidal areas, shallow rivers, swift water, and debris-filled flooded inland areas. 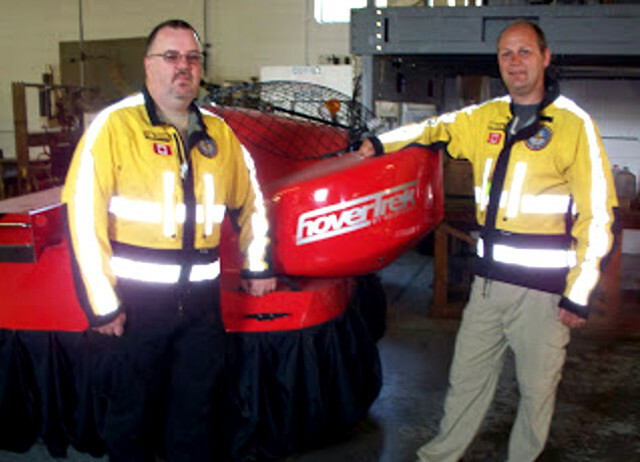 And be sure to enter our giveaway for your chance to learn to fly a rescue hovercraft - FREE! There’s no better way for you to experience for yourself why your fellow first responders in 50+ nations rely on the Neoteric Rescue Hovercraft to keep them, and their victims, safely above the danger, rather than in it. "Our hovercraft, without question, has saved lives. Much of our county is covered by the Great Salt Lake, and when the water is low it leaves miles of mudflats boats can't reach. We can't get airboats out there. When it's extremely windy it's hard to get an aircraft or helicopter out there, and even walking out is impossible. We were putting rescuers in harm's way, but the hovercraft allows us to hover over mud, ice or water and get right to the patient - to literally reach out our hand and pull them out. It's built like a plane: light, fast, maneuverable. It fills that "what if" need. And it's an awesome asset to have." Booth 2704 is drawing attention of firefighters and first responders at the first day of the #FDIC Exhibit in Indianapolis. That’s no surprise, since Neoteric Hovercraft is the ONLY rescue hovercraft exhibitor at the FDIC – and is also the only rescue vehicle that can easily and safely operate in areas no other apparatus can reach: on thin or broken ice, swift water, shallow water, mud, quicksand and more. 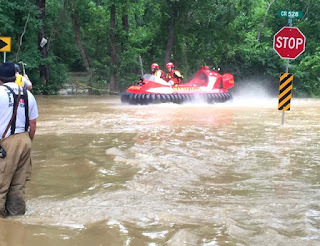 Stop in to watch videos of Neoteric Hovercraft in action and see why the it is the primary rescue vehicle of choice by fire departments and rescue agencies across the world. President and Founder Chris Fitzgerald is present and ready to personally answer all your questions. And don’t miss your chance to fly a hovercraft! Neoteric is giving away three FREE Rescue Hovercraft Flight Training Courses, valued at $1,575 each! There’s no better way to see why your fellow first responders in more than 50 nations rely on the Neoteric Rescue Hovercraft to save lives safely. 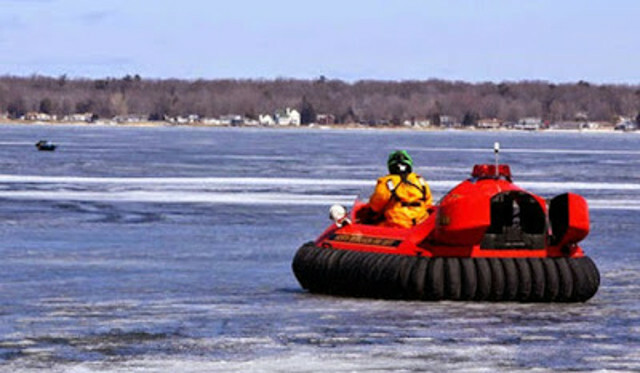 Neoteric Hovercraft, Inc. is honored to be the only rescue hovercraft exhibitor at this year's #FDIC International. 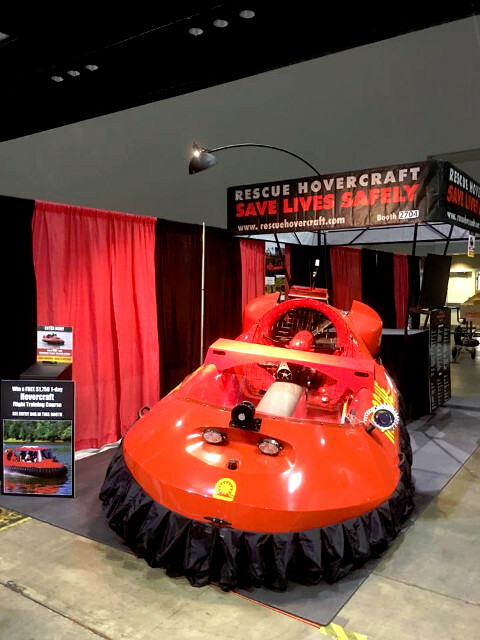 And at Booth 2704, they’re giving away something important to first responders: a chance to for you to experience how a hovercraft improves the speed and success of your rescue operations – and lets you save lives safely. Be sure to stop by Neoteric’s Booth 2704 and register to win one of three FREE Rescue Hovercraft Pilot Training Courses, valued at $1,575 each. Winners will be notified by May 8, and you can schedule your training course at your convenience. This is the ideal way for you to see first-hand how a Neoteric hovercraft keeps you above the danger – not in it. 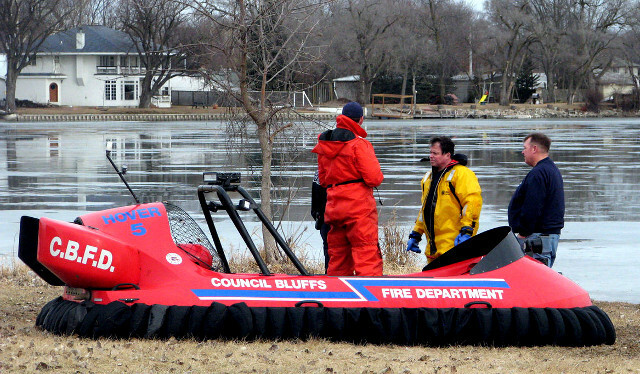 If you still rely on boats, ropes, airboats and other equipment for ice, mud, swift water and shallow water rescues, you’ll definitely want to visit us at Booth 2704 to watch videos of hovercraft rescue operations - and see for yourself how a hovercraft safely and easily flies you into areas that absolutely no other vehicle can reach. 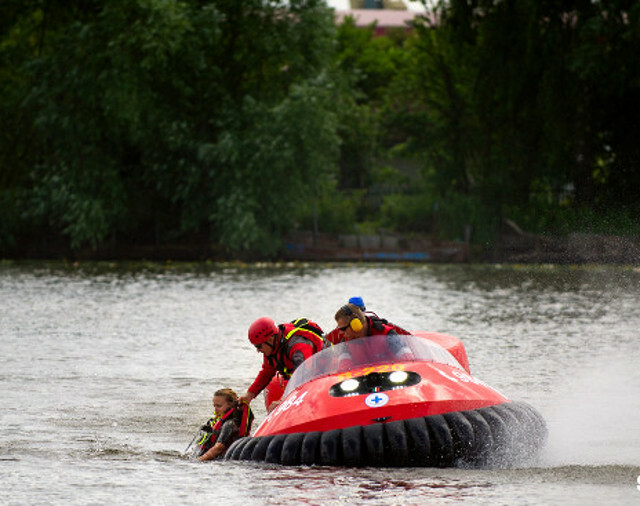 Neoteric is the world’s original and most experienced light hovercraft manufacturer; and their rescue hovercraft are in operation in more than 50 nations. And Neoteric offer the only rescue hovercraft that gives you the ability to brake and back up – critical in rescue operations. That’s why HovercraftTraining Centers trains exclusively on Neoteric Hovercraft!